Superdry women's cropped Azure trench coat. 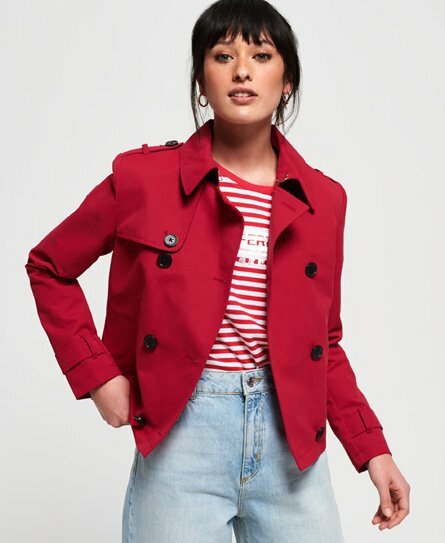 Raise the style status of any outfit with this cropped trench coat, featuring a double breasted button fastening, two front pockets and shoulder epaulettes. Finished with a metal Superdry logo badge on one sleeve.